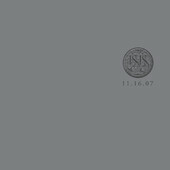 Isis’s first posthumous release, their sixth instalment of the Live series, is available for digital pre-order now with the vinyl release coming at a later date. The live album features a Boston show from 2007, where the band celebrated their tenth anniversary. Thisappears to be the release that drummer Aaron Harris mentioned some time ago, which seems to squash hopes for the time being that Isis would release their compilation of unreleased material and ambient pieces used in their live shows, which still may come as supposedly some kind of Isis record is planned for a November release, unless that is the vinyl Live VI, which is just too far away.